Buying or selling a home can be both exciting and stressful. There are many different things to consider, from where to buy, to how you'll pay for it. Trying to decode all the legal documents that you'll handle or the issues that arise shouldn't be among them. Let us help you take the stress out of your transaction. Real estate law can be complicated. There are many things that can go unnoticed until a problem arises, and by then it could be too late. Being proactive can help save you time, money, and stress in the future. That's where we come in. We'll help you go over the process, and explain your legal rights and obligations. From the time you decide to list you home, or make a purchase, you'll be faced with questions. What is a Purchase Agreement? What is Closing? What if the house doesn't pass the inspection? We can meet with you and help you understand the process from start to finish based on your situation. There is no single best way to conduct a real estate transaction. There are many ways to transfer property, use property, and sell property. Whether you're buying your first home, finally getting that vacation cottage, or looking for a new office for your business, you have options. We can help you get where you want to be. We're available to review your individual documents and answer specific questions, or we can help you handle the entire process. We'll make sure that you get the representation you need. Call to ask about package prices for buyers and sellers. 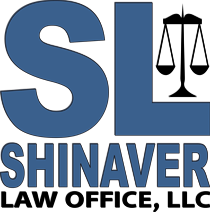 Shinaver Law Office, LLC represents both buyers and sellers of commercial real estate from LOI to recording, leases to evictions, and everything in between.